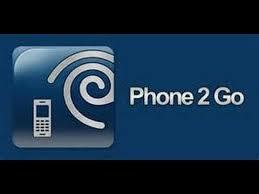 Charter Communications will close down Time Warner Cable’s Wi-Fi calling app Phone2Go on July 5, 2018, citing low customer usage. Originally introduced in 2014, Phone2Go was marketed as a free Wi-Fi calling app alternative to Skype or Vonage. The Android and iOS app linked to Time Warner Cable/Spectrum’s phone service, allowing customers to make free calls, text and video conference over the app when away from home or abroad. Each account supported up to five devices, which allowed distant relatives, friends, or family members to make and receive free calls. “One of the important advantages of Phone2Go is you can give an ID to a relative or friend who lives abroad. And they can make calls as if they were in the United States. So they can call you say on your cellphone, they may be say in Europe and you are in the U.S. and they would only pay the local rate,” said Time Warner Cable Phone general manager Jeff Lindsay back in 2016. The app was never popular with customers, however, because call quality was often poor and the app was infrequently updated. It was also cumbersome to change or add devices, and once registered to a device, it was very difficult to re-register those devices for use with another account. After Charter Communications acquired Time Warner Cable, there were frequent and long-lasting service outages affecting the Phone2Go app, which may have driven off what loyal users it had. Spectrum is contacting customers registered for the app by phone to alert them the Phone2Go service would be discontinued on Thursday. one of the reason I am using phone service is VoIP app… not this app is not longer available to us… what is the alternative solution!!! This was a great feature. Should not have dropped. This was a very nice feature to use the phone to go app when On road to connect with your family and friends. I Wish they improved the service, instead, Spectrum stopped it. Very sad and mad customer.